Knox Borough, PA – Welcomes you! Knox Borough is located in Clarion County and known as the “Horsethief Capital of the World”. Horsethief Days is a festival that happens in the Borough of Knox, in Western Pennsylvania. It happens the week before school goes back into session. (last week in August) During Horsethief Days there are so many activities you can do. For instance, there are all sorts of dances (country line, adult, and teen), Legendary TRACTOR RACES, kiddie parade, sidewalk sales, Nickelodeon night, bike races, and eventually the Horsethief Parade on the last day of the festival. The activites are fun and very interesting. Knox Borough maintains its own Water System and a new Sewer Treatment Plant completed in 2017 to compliment our total Sewer line replacement done over the last 4 years. 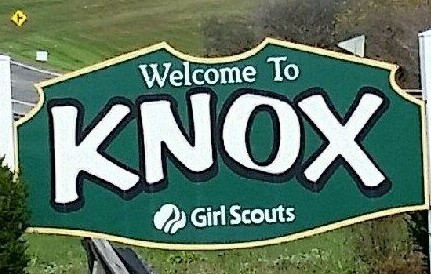 Knox Borough has a Police Force, Knox Volunteer Fire Company, Knox Ambulance Company, Keystone Elementary-High School, and Knox Public Library. The town has many Organizations and Clubs serving the area. This quiet little Borough has a lot to offer someone moving into this area.